non-disclosure: I bought everything in this post with my own cash, and have no incentive to write about any product except my desire to share my finds with you. Links are not affiliate links. Taking a cue from Sarah Lena, I’ve decided to share with you some of the things I’ve bought lately. Just because. Swell soap and sea buckthorn oil. I saw this item being discussed on Twitter by a few people who were swearing by it. Apparently it’s the new buzz product being recommended by estheticians around town and it’s now being sold at local-grocer Heinen’s. At first I scoffed at the idea of a $24 bar of soap. Not to mention that I haven’t used a bar soap on my face since I used Clinique in high school. But I kept seeing people talk about it so I checked it out. I was totally rolling my eyes at the hippie-talk on the website but I noticed it’s a local company. Then I ran out of my previous (purchased on clearance at Target) face soap and I Heinen’s had both the soap and oil on sale. So I’ve been using it about 2 weeks now and I’ve noticed an improvement in my skin, especially my pores (not so visible anymore) and the overall tone. So, color me impressed. I would by this again. Payless Women’s Claire Scrunch Flat by Dexter. I have finally admitted to myself that I am a flats girl. I’m slowly getting rid of all my heels, including my long-coveted Cole Haan pumps. I don’t wear them. Ever. If I need height I wear wedges. So when Miranda (and someone else, I can’t remember who!) mentioned some Payless flats a while ago on twitter, I ordered some in black. Fast forward 5 months and I’ve worn them every working day and the sole is starting to wear out. So I took advantage of the current BOGO sale and got a new pair of black and this tweed gray. I LOVE these shoes. They are like wearing slippers. I may need to stock-pile some at the next sale in case they ever stop making them. I didn’t buy this but Mark gave it to me for my birthday. I was nicely surprised but I’m not a huge cookbook person…I prefer to get my recipes from the web where I can read reviews and reactions. However, I’ve quickly fallen in love with this book. It’s nothing ground breaking, nothing fancy. I’ve described it as “stupid-easy recipes you wonder why you didn’t come up with yourself”. Nothing is odd (no doctored condensed soup, no pre-made ingredients), but every recipe we’ve had so far has been really good and very fast. 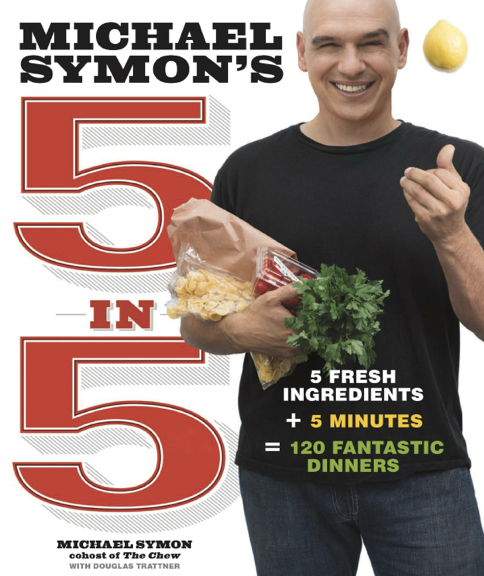 I’m looking forward to cooking my way through the book. 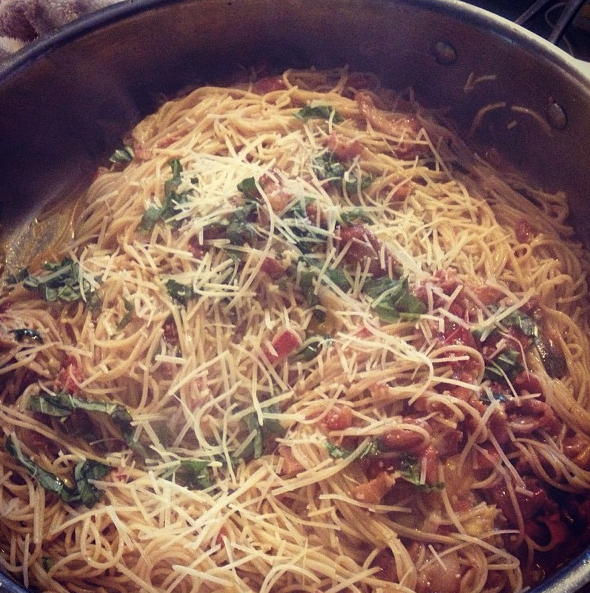 Bacon, tomato, basil pasta -so so good! 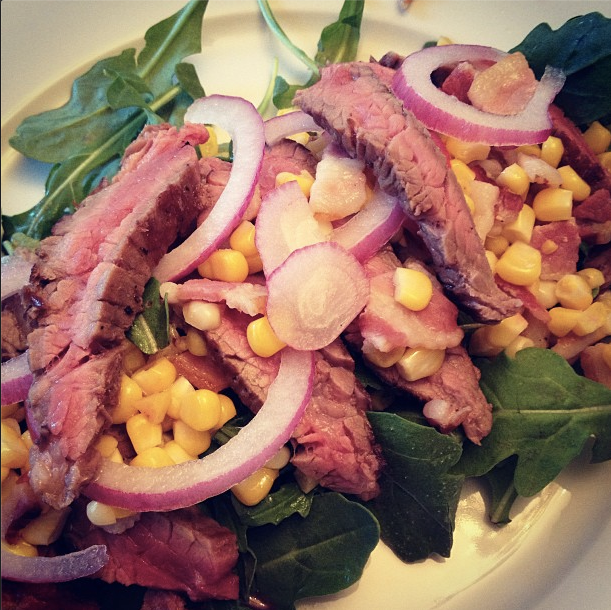 Grilled flank steak with corn & bacon salad – yum! So, have you bought anything fun lately? How about buying clear shatterproof cannisters to replace my 40 year old ones? Love these and wonder why it took me so long to get new. And I found them at WalMart. I am on my way to buy the 5 in 5. Your Instagram photos have inspired me to check it out, plus I am a cookbook junkie. But if it takes any time to fix dinner…it just doesn’t happen for me. 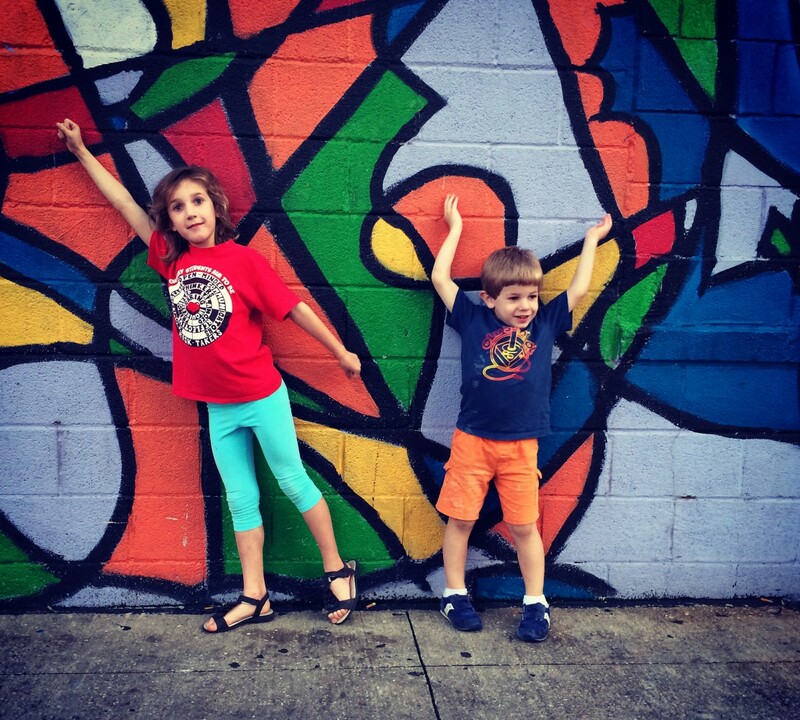 All I have purchased lately are tickets to volleyball games and concession stand food….sigh. We did buy good stadium chair bleacher seats last year and they have been worth every penny.